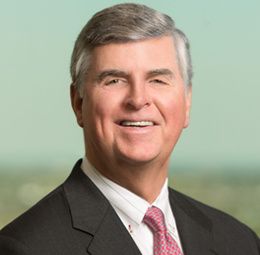 Phil Claverie, Jr. practices in the areas of business and finance and real estate, advising clients on matters related to banking, commercial transactions, real estate, leasing and probate. He represents a number of financial institutions in loan transactions involving real estate acquisitions and construction, vessel acquisitions and construction and working capital. He also represents a number of real estate developers and business owners in connection with development projects, land acquisitions, business start-up, commercial leasing and other commercial transactions. Phil serves as the deputy practice coordinator for the business group in the New Orleans office. Representation of local, regional and national financial institutions in lines-of-credit, term and construction financings. Representation of national financial institutions in vessel construction and acquisition financing transactions. Representation of financial institutions as agent for multi-bank financing of international offshore service company ($600 million), oilfield equipment fabricator ($40 million), farm/construction equipment dealer ($40 million) and liquor distillery ($450 million). Representation of a real estate developer in the development, leasing and financing (construction and permanent) of a number of locations for national drug store chain. Representation of large national retailer in acquiring liquor and tobacco licenses. Representation of local restaurateurs in opening a number of restaurants in the New Orleans area. Representation of a national energy services corporation in local real estate matters, including leasing and property acquisitions.